Filmmakers all seem to start with the same thing in heart and mind; the passion for making films, and the dreams of doing so as a career. However, the means of reaching this goal may be a bit of a grey area. Finding the bridge between a dream and reality can be difficult. For some, the search for the answer lies in film school, for others freelancing, or on-set entry-level positions might provide the answer. However, it would be naive to believe the truth was that clear cut. 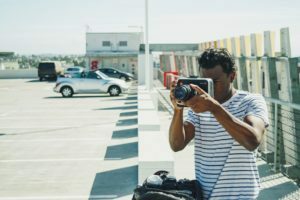 With the cost of tuition rising, and a plethora of websites, and YouTube channels dedicated to teaching techniques of filmmaking, one might address the elephant in the room asking if film school is really worth it, and if film school is necessary to be successful in the film industry. 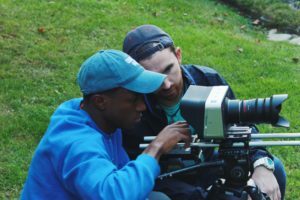 DeSales University puts cameras in filmmakers’ hands their first week on campus with most students completing 30 to 50 films in four years. Needing a final project for TV395 Motion Picture Production, we began the documentary. 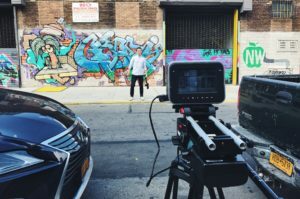 Making it: A Passion Project, is a new documentary mini-series that looks at filmmakers from across the country, at different points of their life, and various levels of the industry to clear away the fog on the pathway towards a successful film career. 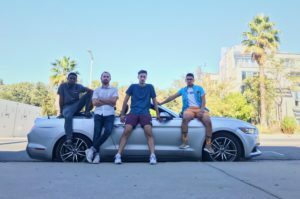 Senior TV/Film majors at DeSales University: Jean Carlos Falcon (Producer/Director) and Cristian Mendez (Producer/Assistant Director) tell the following story about themselves and their latest project. JC is TV/Film Major with a Digital Art Minor who is in his senior year at DeSales University. Beyond studying and working within the DeSales University film community, he has also done projects for companies like New York Life Insurance, Keller Williams Real Estate and The Travel Channel. After graduation Falcon plans to pursue a career in the commercial, documentary, and music video industry as a Director of Photography/Editor, as well as travel as much of the world as he can in his spare time. Cristian is a TV/Film Major with a Creative Writing Minor in his senior year at DeSales University. His passion is writing and music and plans on pursuing a career towards music video production and writing for television. Liam, a 2016 graduate from DeSales with a Bachelor of the Arts in TV/Film is a Production Designer. He primarily works on independent features and shorts in the Art Department. 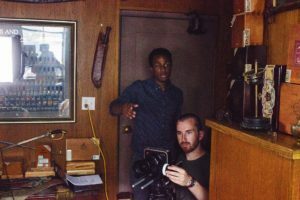 From concept and design, construction, and tailoring to on screen, Liam thrives in the collaborative process of filmmaking. Chris is a freshman TV/Film major at DeSales University. 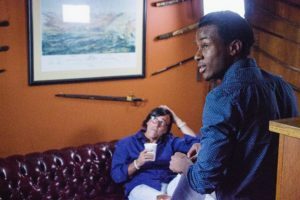 He has worked on many films throughout both high school and college, including Making It (Documentary) as both the Executive and Associate Producer. Having a strong passion for producing movies, in the future Shaw plans on owning his own Production Company, and aspires to entertain people through his creations. Alex is a junior Communications major, with a digital art minor at DeSales University. Lingle’s passion and fascination for movement has helped him excel in his field. Angel is Freshman Computer Science major at DeSales University and assisted with the animations during the postproduction phase. His postgraduate goal is to acquire a career with a top animation company. Jacob is a freshman TV/Film major at DeSales and from the Boston area. His passion is editing and fight choreography. He has been involved with Karmic Release’s “Killian and the Comeback Kids” as well as directing and editing two award-winning documentaries. He has also been involved in martial arts his whole life and wants to dabble in fight scene choreography for movies. JC: We’ve all imagined what our life after film school would be like. We’ve imagined it in normal way, a glorified way, and in a frightening way. We think finding a job and working in the industry is going to be such a scary adventure because that’s what we’ve heard for the majority of our lives from outside sources, parents, friends, and others. The biggest cause for us letting these opinions instill in our minds is the fact that most of us haven’t had the chance to talk to people in the industry on a regular basis to confirm or deny certain stereotypes. The unanswered question of whether or not film school is needed or how much it helps in gaining industry success really irked me. After thinking about this for many months through my junior year, I decided to grab a group of my friends and take a journey to every corner of the industry and figure it out and answer the question: What does the future have in store for us as filmmakers? Why are you making this film and who is it for? JC: This film is for anyone who trying to decide whether or not they should go to film school or study film in higher education. I’m making this film my graduating class and myself. Four years ago, I was a kid who knew he wanted to work in films, but didn’t know much about the industry, besides wedding films and using a DSLR. I want to be able to give someone that is experiencing the same thing I was the knowledge and confidence they need to help them succeed. Cristian: For me, the target audience of this film is very large. I think depending on who sees it viewing it will determine what they will get out of the series. For all aspiring filmmakers who are not yet studying filmmaking, this film will give a greater insight on what to expect, and what others who will soon be in their shoes are going through. For friends and family of filmmakers and students, it provides a better understanding on the industry and what is expected of you and how it is not as simple to understand as other industries and careers might be. For professors, it shows the different theories and teachings film programs have. For anyone else, it helps illustrate the process and depth of content and media. It’s almost like the journey from how things actually get onto television, the laptop, or phone screen. I think anyone watching can get something positive out of it. Scott Reda: Producer and Owner of Lou Reda Productions, Easton, PA.
Mark Reda: Producer, Lou Reda Productions, Easton, PA.
Kraig Adams: Youtuber, Brooklyn, NY. Tony Mark: CayFilm Festival Director, Georgetown, Grand Cayman. 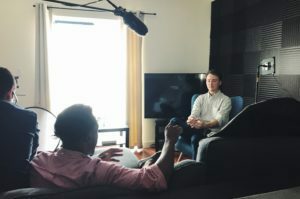 Patrick Corcoran: Freelance Director/Writer, Film School Drop Out, Fleetwood, PA.
Boima Anderson: Freelance Creative Director, Social Media Content Producer at Aputure Tech, Burbank, CA. Dallas King: Director, UCLA Instructor, West Hollywood, CA. Susan Lehman: Writer, CEO of Shorts U, Philadelphia, PA.
Becky Smith: Director, UCLA, Vice Chair of Production (Film), Los Angeles, CA. Cheri Smith: UCLA Film Counselor, Los Angeles, CA. JC: We wanted to go to the main hubs around the country for television and film, so we knew New York and Los Angeles were a must. We also had interviews in Pennsylvania. The idea began to form the first and second semester of the 2016-2017 school year at DeSales. Shortly after the summer of 2017, the research and outlining process began. We were fortunate that hit our Crowdfunding $2000 budget goal in fifteen days we were able to pay for the expenses of travel to continue interviews in Los Angeles for a week. A lot of the content came from our seven-day shoot there. For all of us, it was our first time being out there and we learned so much, got a taste of what life could be like as a filmmaker, while being in a city where everyone has a similar goal. It’s safe to say that each one of us came back changed for the best. We had gone on a journey of our own and want everyone that watches our documentary to feel the same experiences we did. What were the most important components in each phase of production? JC: Making sure I did enough research, my biggest fear was not having a story to tell, something new to share. I read a bunch of articles online, watched great YouTube videos, and saw a few documentaries and read for my developmental stage. Cristian: During production, the most important part was staying flexible and patient, there were so many things that went wrong, but for every one thing that went wrong, there were three things that went right. The whole production experience was a journey. JC: Storage was a huge concern. We didn’t really think much about how much 4K footage was going to affect us, until we found ourselves buying four hard drives and finding a computer powerful enough to edit on with all these external entities. What challenges and solutions were there? Cristian: Most of our biggest challenges took place during production in Los Angeles. We were all so excited and eager to film B-roll and the interviews. 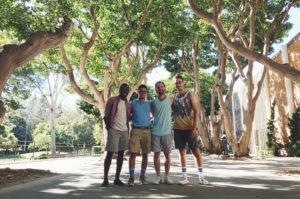 These factors kept moral high when our budget was quickly drained, and having a place to stay for more than two nights at a time did not always work out. Coming close to sleeping in our rental car, we managed to scramble and find an affordable place to stay for most of our week. JC: Finding a new person to interview was always exciting because we knew that a different perspective helped us understand so much more. Aside from the interviews, we’d say the most memorable moments would be the car rental. We rented the cheapest car we could find in the lot, but upon arrival it was not running properly. The Agent had to give us what was available on the lot while maintaining the same price we originally paid. The car they gave us was a 2017 Mustang convertible. We looked like we were really living the high life, but in reality we were living off of peanut butter sandwiches and water for three meals a day. Cristian: We intend to show what we have so far and get it in the Film Festival circuit. In doing so, we plan to see what works best for the documentary and hopefully get some more recognition from investors and backers to fulfill its true potential. There is a story every filmmaker has to tell about his or her journey. With more funding, it is our desire to: travel to more cities where film is prevalent, travel to more schools, and speak with more people in the industry so that we can provide an even larger spectrum of information. A ten-minute version of Making It screened at The AMC Center Valley Promenade 16 in Center Valley, PA on December 5. As part of the Motion Picture Production class, DeSales University rents one of the theater’s screens and the students’ films are shown to a paying audience. Ten patrons from 200 people in attendance asked Cristian and I several questions about problems we encountered while making the film. They realized, like we did, that this project was a labor of love. When will we see the final product?